Planet Parker summer program comprises a range of offerings for kids ages 4-14. One-week programs with options in adventure and play: imagination, sports, science and creative arts. 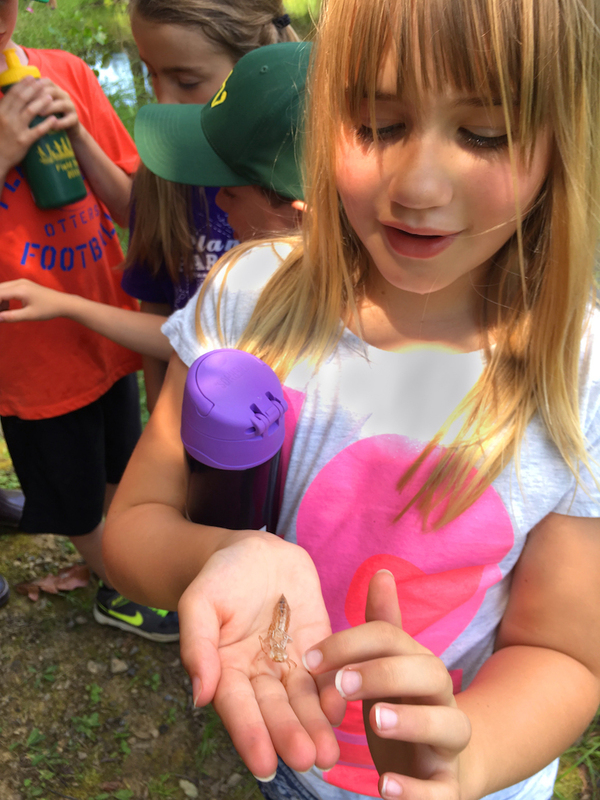 Parker’s skilled teachers and education partners develop and lead our outstanding camp programs in our art studio, science lab, gym, fields, pond, playgrounds and throughout our 77 acres of woods and creeks in North Greenbush. Extended Care: Care is available from 8:00AM-9AM and 3:30PM-5:30PM daily. Before Care and After Care are designed to provide a warm, nurturing, and fun environment for young children. Pre-registration is required. Lunch & Snacks: Children bring a bag lunch and morning snack each day. Healthy snacks will be provided in After Care. Complete registration form and payment by May 17th. 10% Discount: Off of your total balance for all registrations of 5 weeks or more per family. Cancellation Policy: All camps are subject to a minimum and maximum enrollment. In the event of cancellation, Robert C. Parker School will notify campers in advance and will refund the entire camp fee. Children absent from camp will not be entitled to a refund or exchange of dates. Cancellations made prior to two weeks of camp start date will receive a full refund, less a $50 administrative fee per session. Refunds cannot be given for cancellations received less than 14 days before the camp week’s start date. A 50% deposit is due with registration. Planeteers will focus on the areas that are unique and beautiful to the 77 acres here at Parker. During the sessions, children will touch on a vast amount of enriching topics, themes, and ideas. Each topic will be covered for two weeks (with the option of signing up for individual weeks, as needed), which allows both the teacher and the children to dive deeper into specific topics that interest the group while individualizing the activities and experiences for all of the children. 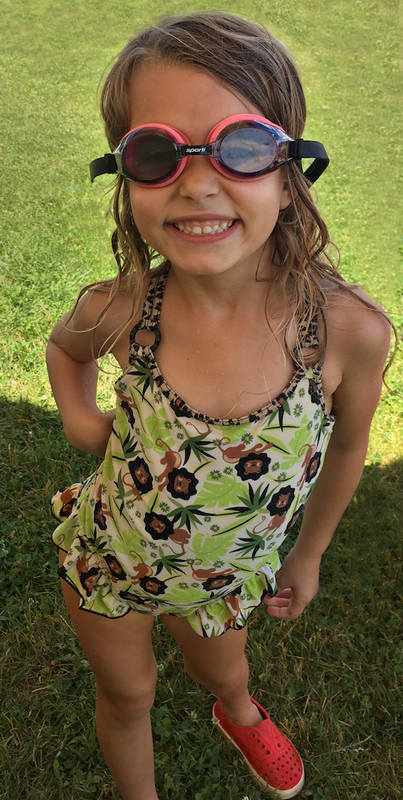 Children will have the opportunity to explore the outdoors, enjoy daily water play, discover new skills, dive into their creativity, and make new friends! Planting (plant life, growth, harvesting, care), bugs and insects (both land and water), flowers and trees, birds, seasons, ecosystems/ecology, composting, woodland animals, water systems and water cycles. Magic Tree House: The Knight at Dawn KIDS is an adaptation of the second of Mary Pope Osborne’s award-winning fantasy adventure books. This time around, Jack and Annie’s tree house takes them to an age of knights in shining armor, where the two discover the power of hope and the true meaning of gallantry. If you like to do any of these things…dance? think? feel? sing? crack up? sew? analyze, ponder, or perform – Then come spend time with Seano and friends! *This camp will run 1.5 weeks, beginning on June 12th and ending on Friday, June 21st. Campers must attend the full 1.5 weeks, prorated pricing is unavailable. Do you enjoy scavenger hunts and searching for treasure? Then join us for three days of mystery and fun as we work to solve a variety of games and puzzles that lead to rewards. Campers will spend time creating treasures of their own and work together to assemble their very own Parker Geocache to hide in our trails for all future campers to find this summer. Enter the fantasy world of Dungeons and Dragons, full of strange creatures and lots of treasure. 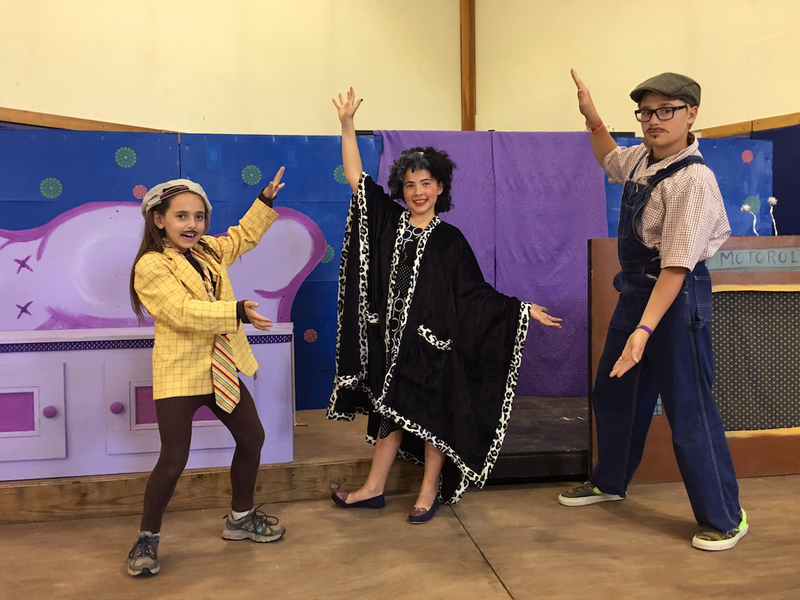 Campers will learn to play the classic game of imagination, as well as build props and maps. 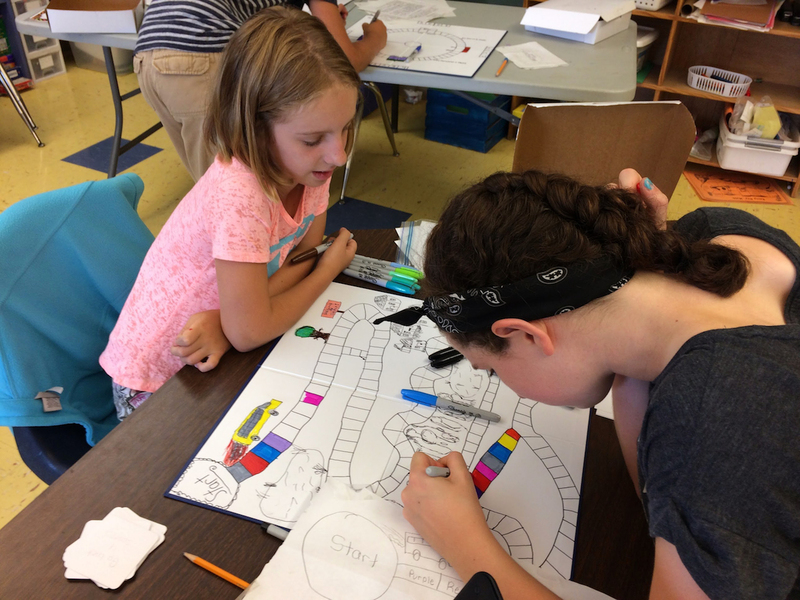 Over the course of three sessions, campers will create a character and complete a custom-written adventure. Campers are welcome to bring other role playing games with them (such as Magic: The Gathering cards) for play during independent gaming time. *This camp will run 1.5 weeks. Beginning on June 12th and ending on Friday, June 21st. Campers must attend the full 1.5 weeks, prorated pricing is unavailable. Have you ever wished that you could jump into your favorite fantasy book? Join us this week as we celebrate witches, wizards, dragons and magic. We’ll design our own wands, mix potions, and more! This camp will blend science with the fun out getting outside and enjoying our amazing 77 acre property. reality through imagination and skill with LEGOs in this challenging and exciting week. Let the games begin! Come, play a variety of games from competitive board games and card games such as Smash Up, Magic: The Gathering, Qwirkle, and Sushi Go! to cooperative board games such as Pandemic and Werewolves of Millers Hollow. 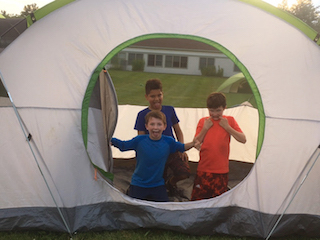 Campers will also be play a variety of cooperative and competitive games on our wonderful 77 acres of land. The week will end with Parker Con, where campers will become marketing specialists of their favorite game to demo, promote and of course make lots of swag! Nothing beats the thrill of hitting the bullseye! Campers will learn important safety procedures, and proper technique in this adventure-filled archery camp. Our instructor will teach all campers how to release an arrow for optimal accuracy and provide one-on-one guidance and support while they practice their newly acquired skill! Classic camp games will be played this week, all with a Robin Hood twist. All necessary archery equipment is provided. Join us for a week of chopping and dicing! Chefs will learn skills and recipes, complete challenges, and take risks with food. Each day will be devoted to a different recipe and set of skills. Campers will even bring home their own cookbook and apron at the end of the week. Join us for this week of flavorful fun! It’s a bird! It’s a plane! It’s Super Camp! Being a superhero is hard and the best way to learn is Super Hero Week! We will explore super powers and secret identities through movement, story and song. Each day we will earn a part of our own superhero identity (cape, arm cuff, name). Activities will build around stories read during snack. A fun camp where kids will learn how to play two popular card games, Pokemon and Yu-Gi-Oh! Throughout the week they will create their very own cards and play lots of fun outdoor games. Learn the strategies of the game and become a Pokémon master! Kids will learn the basics of printmaking and create their own printed editions in this messy and fun camp. We will experiment with monoprinting, lino cut and other non-toxic printing methods, making our own books, t-shirts, and more! *Throughout the month of July, Parker is partnering with The Children’s Museum of Science and Technology to enhance our robust programming. These camps divide the day between traditional Parker programming (water play, outdoor games and adventuring) along with structured CMOST activities. Join us for a magical adventure with Fairies and Dragons. Using dance, we will explore what these creatures do and how they move as we create a dance to perform at the end of camp. Each day we will earn a piece of our costume (wings, wand, name and bracelet). We will also build a fairy garden for our dragons to wreak havoc on! Activities will be built around stories read during snacks. Music, dance, art, and story: we will be engaging the whole child for a week of learning and fun. Take some time this summer to learn the power of yoga! Campers will learn basic yoga techniques, enjoy hiking in the woods, experiment in our kitchen creating healthy dishes and spend time writing and drawing in their own journals. If you are interested in yoga this is a camp not to be missed! Fire up the grill and get ready for summer cooking! 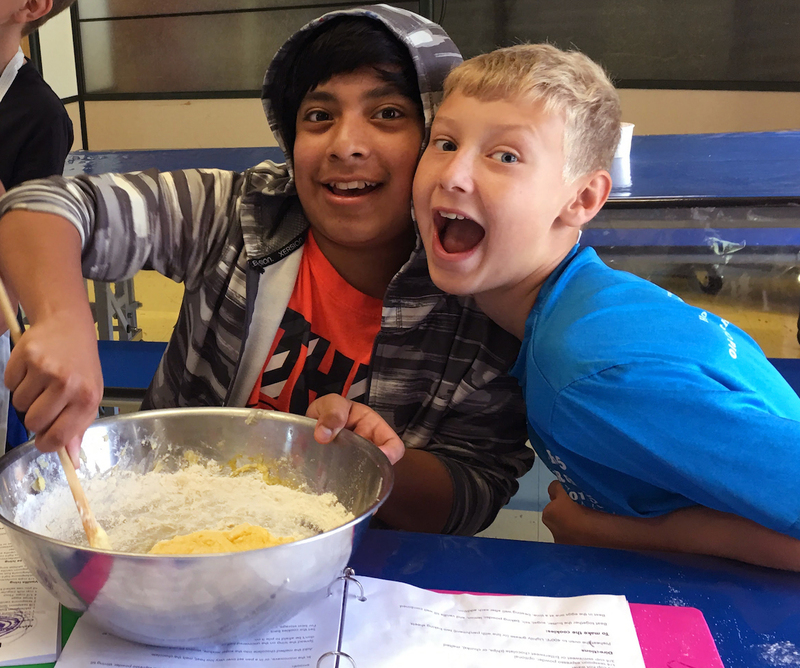 In this lively cooking camp kids will create their own summer dishes, learn the basics of barbeque cooking and create fun desserts. Nature lovers! Come and discover the wonders of the wilderness at Planet Parker. Romp in the streams, meander in the meadows, and hit the trails with our nature expert. Each day will feature fun, hands-on activities from making bird feeders and terrariums, to creating living forest artwork and building a campfire. There’s no limit to the discoveries we can make! Nothing beats the thrill of hitting the bullseye!. Campers will learn important safety procedures, and proper technique in this adventure filled archery camp. Our instructor will teach all campers how to release an arrow for optimal accuracy and provide one-on-one guidance and support while they practice their newly acquired skill! Classic camp games will be played this week, all with a Robin Hood twist. All necessary archery equipment is provided. 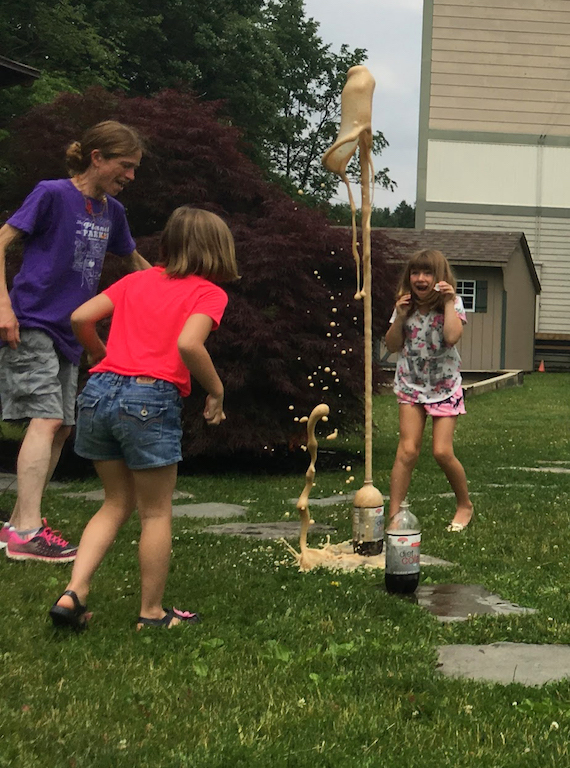 From exploding bottles of soda, to magical potions and an egg drop challenge, this week will put you in control of concocting all types of “mad” science. Explore kitchen chemistry, out-of-this-world physics phenomena, and other extreme science experiments that YOU create. We’ll make things fly, foam, freeze and more in this electrifying week of science fun. Let’s go on a STEAM adventure. Each day will be packed with fun activities that help us learn all about science, technology, engineering, art and math. Experiments, art projects, creating, building, tinkering and a few new ways of looking at math will make this a week packed with excitement. Join dance class with Emily! In this class we will learn the basic fundamentals of ballet and tap dancing through a variety of fun games. No prior dance experience required, all skill levels welcome! Don’t miss this amazing offering where high-tech design skills meet ancient art forms. This is Parker’s only offering that mixes hands-on and virtual sculpting… Think Minecraft, for artists! 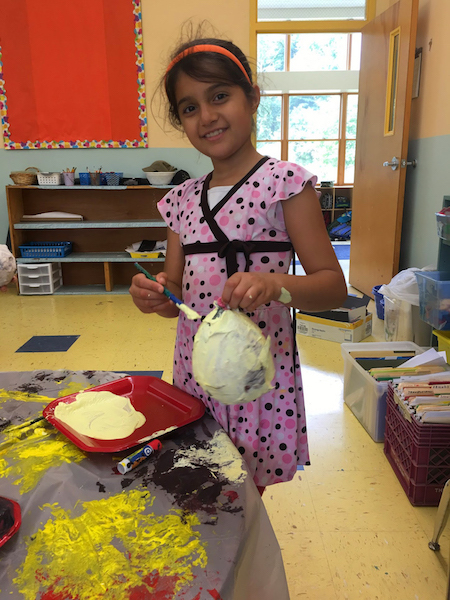 Begin by exploring a variety of three-dimensional sculpting media like paper mache, clay, and recycled/found objects, then move into the lab to experiment with digital sculpting. Artists will learn programs such as TinkerCAD and Sculptris, where the sky’s the limit for what you can create. Combine your love of art and nature during this week of crafty fun. Use recycled and found materials to make animal sculptures, newspaper towers, nature portraits, rock mandala designs, scrap monsters, and more! Join Planet Parker as we take a journey of music, excitement and fun with our trusty recorders! Each day we will experience new music through solos, small groups and ensembles of recorder and Orff instruments. There will also be recorder karate time where students learn songs on the recorder and earn belts. There will be a culminating performance on Friday! The wild is calling! Campers will develop real-life survival skills: shelter building, fire craft, land navigation, tracking and foraging. Days will include hiking, friendly competitions and survival techniques simulating the most extreme climates on earth! Come join in this year’s Players of Parkerville Circus! Together we will learn how to unicycle, stilt walk, juggle, tumble and have loads of laughs. Bring your wacky talent and grab the spotlight, now’s your chance! Friends and family are invited to see our one of a kind show on Friday afternoon August 16th. It’s all about the fun this week as teams of adventure battle for points in Parker MUD games. Tackle a wet, wild and messy obstacle course. Build mud castles, compete in mud tug-of-war, and play a giant game of sloppy mud twister. We’ll play wacky games like capture the chicken, and zombie tag! This week will be anything but clean as we get down and dirty in the mud! Everybody knows that bird is the word! Camp this week will be full of bird crafts, bird watching, birdhouse building and more! Campers will take full advantage of our 77 acre woods through creative play and team building activities. *Closing week of camp this year ends on THURSDAY. Camp prices are prorated to reflect a shorter week. Here at Planet Parker we know how to have fun! Wrap up the last week of summer with endless games and laughs. We’ll get your adrenaline pumping with relay races, carnival games and challenges like you see on game shows. Join us for our last week of fun in the sun! During this week you will learn a variety of techniques resulting in many art projects. We’ll explore painting, drawing, sculpture, fibers and weaving, and more! We’ll be creating both indoors and outdoors and campers will have time to pursue some of the own interests with ‘open studio’ and independent creation time. Campers will have the opportunity to explore all sorts of materials and media. It’s sure to be a wonderfully creative week! Dream, design, build and program a robot of your own creation! During this high-voltage week, you will make your robot walk, dance, grab, “speak,” perform tasks and follow your every command. You’ll work to design a blueprint, then make your robot a reality through imagination and skill with LEGOs in this challenging and exciting week. To learn more about Planet Parker, feel free to email Claire Sherwood, Program Coordinator.